JENN: And now we welcome once again one of my favorite traveling companions, Elizabeth. So! Splash Mountain! What do you recollect? ELIZABETH: Well let me see, I remember enjoying the ride! It was slightly strange because I never saw Song of the South, so the characters weren't familiar like they were on all the other rides. Compared to water rides i was used to as a ride at amusement parks and such, it was waaay longer because of the dark ride elements you go through first, which I thought was awesome. But the big drop at the end wasn't as bad as I was expecting, probably because it was meant for kids. JENN: Specifically I wanted to talk about the first time we ever rode it because it's one of my favorite Disney memories and also because I'm curious as to rather you remember it that way too. It was that one time during out 2008 trip, just you and me, 'cause Bekah wouldn't do it at the time and Megan was probably busy plotting my murder for walking too fast all the time. ELIZABETH: There was a part where they do a mini fake-out drop, which had me all braced? JENN: That's it! We knew there was a big drop, obviously, but since we'd never ridden before we didn't know when. There are at least two mini-drops before the big one, and every single time we were all AHHHHHHHHH - oh. ELIZABETH: Yes! I remember we sort of turned to each other and laughed. JENN: It was glorious. Like the first time you rode Verbolten! ELIZABETH: That was a horrible yet totally justifiable thing you did to me there. 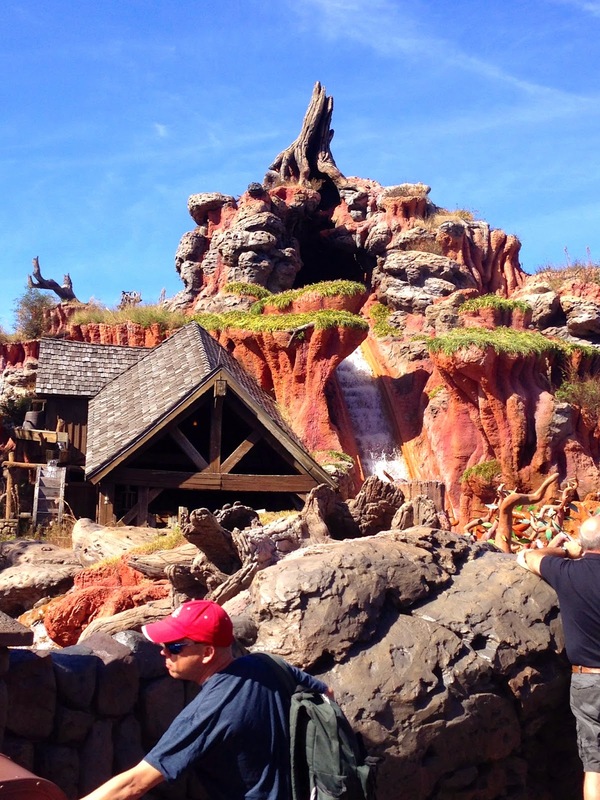 JENN: ^_^ Now that you've ridden it many a time and are a total pro, where does Splash Mountain rank in your mental ride list? ELIZABETH: Hmmm. Well, it's a bit below the roller coasters and the safari ride from the Animal Kingdom, however it's still pretty high on my list for that park. It would also rapidly climb my priority list on a hot day. The unfortunate thing about the water rides is that we generally go when it's fairly cold. It's definitely a ride I'd take kids on (if I had any), but now that I think of it I'm not sure how I'd explain the fact that they can't watch Song of the South when we get home. JENN: The ultimate Disney contradiction! ELIZABETH: Yes! Oh well. In some ways that gives it a mysterious quality, unlike all the other characters that you see in every gift shop and advertisement. Oh! And I think that the ride tells a story - not that that's a unique feature in a Disney ride, but I remember getting to the bit where you're escaping into the briar patch and thinking "Oh, THIS must be the end!"